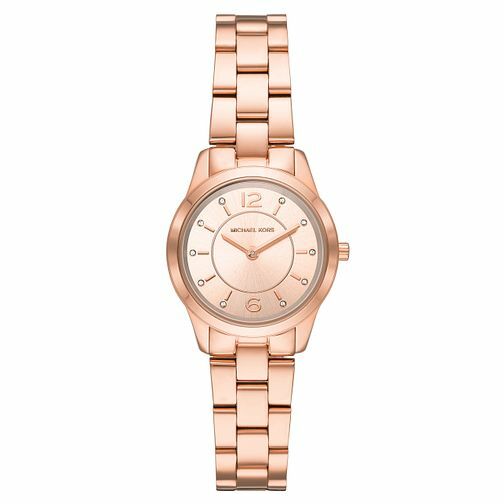 This beautiful Michael Kors Rose Gold tone watch is a impossibly stylish. The rose gold-toned stainless steel is wonderfully decorated with pavé-embellished along the inner dial. Encased in durable mineral crystal glass and powered by a quartz movement. Note that it's water-resistant to 50 metres.